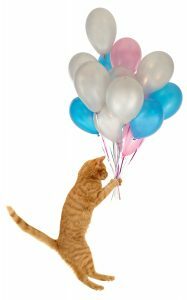 Celebrating cat holidays is your chance to get in good graces with your feline. We’re not saying you’re not, but do you really know? I don’t. My cat constantly walks around like I’ve forgotten her birthday or have committed some other slight that I can’t figure out. When it comes to people, I can deal with it. If I’ve forgotten a birthday or anniversary, I can reconcile with a slavish apology and an offering of a more expensive gift than I would have originally given. That’s because I’m dealing with humans. It’s not necessarily that they’re so understanding, it’s that they can be bribed. When it comes to cats, however, they’re on a higher plane. I’m not sure they will give in so easily. Even if I haven’t offended my cat, but think I have, she won’t dissuade me from that mindset. It’s a cat thing. They get inside your head and toy with you. You know what I’m talking about. So don’t mess with them. You’ll lose. Which brings us to why you should have a backlog of special days on which you can celebrate their splendidness and remind your favorite cat that you’re always thinking of him or her. We suggest you partake in as many as you can. If you want to spoil your cat on National Cat Day, why not treat yourself, too, and plan an overnight getaway? Head over to Petswelcome’s Cat Page where you can easily find a hotel that welcomes cats and hit the road for a great time. We also recommend that you embrace those days that highlight and address important issues facing the feline community. If you can adopt a cat, work at a shelter, or spend a day helping the plight of the feral population, it’s time well spent. 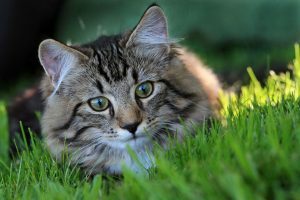 Many of these cat holidays are connected to ery specific causes, so choose yours and have at it. The common theme for all is that they were created to make us more aware of and appreciative of our feline friends. And that’s a great reason to celebrate! April 11th – National Pet Day Founded in 2006, National Pet Day celebrates the happiness pets bring into our lives while highlighting the plight of those that need homes and shelter around the globe. Okay, not really a specific cat day but if you ignore your dogs, your cats will really like that. The lesson here is to score points wherever you can. April 27th – Hairball Awareness Day Oh boy! Sounds like it rates right up there with other holidays like Black Plague Remembrance Day, conjuring up visions of hairballs erupting everywhere. But it’s not like that. It’s actually for a good cause, highlighting the need for regular feline grooming to reduce the amount of ingested fur while also utilizing a vet-recommended diet to aid with hairball prevention. June is Adopt a Cat Month Feline overpopulation is a huge problem. Each spring shelters are overcrowded with everything from cute little kittens to older cats and all ages in between. If you’re thinking of adopting, we say Hurrah! But make sure you’re ready. Here’s a checklist you should review. June 4th – Hug Your Cat Day Easy enough. Though, I’ve never known a cat that appreciates a hug. We’re too big and they’re too small. Usually it’s a good rub behind their ears that does the trick. Do yourself, and your cat, a favor and give it whatever it likes best. It will respond in kind. June 18th – Take Your Cat to Work Day Part of Take Your Pet to Work Week (June 18-22). Just double-check that your place of work is down with this before doing it. August 8th – International Cat Day Started in 2002 by the International Fund for Animal Welfare, this holiday celebrates the most popular pet on the planet–an estimated 500 million worldwide. August 22nd – Take Your Cat to the Vet Day Here’s one your cat may not appreciate so you better wear a long-sleeve shirt and gloves and be prepared for some resistance. But isn’t a few scratches and little bleeding on your part worth the great feeling you’ll have knowing you’ve taken care of business? September is Happy Cat Month Your job just got harder. Now you need to make your cat really happy. For 30 days. 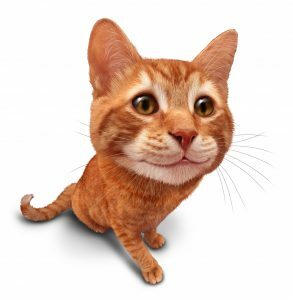 September 1st – Ginger Cat Appreciation Day If you’ve got an orange ball of fur at home, this is their day. October 16th– National Feral Cat Day Trap-Neuter-Return is a program to reduce the feral cat population without resorting to extermination and other cruel practices. Feral Cat Day highlights this and other initiatives and urges communities to practice humane approaches to this large and misunderstood population. October 27th – National Black Cat Day Black cats weren’t always symbols of bad luck. The Celts believed that faeries would take the form of black cats, and their arrival in a village was viewed as good luck. So if you’ve got a black-haired beauty at home, give thanks for your good luck on this day. October 29th – National Cat Day Founded in 2005 to highlight the plight of homeless cats, this holiday celebrates all things feline. Here are some suggestions on ways to celebrate.